Beauty brand Skinade has created a drink that can improve the appearance of your skin. Formulated with beneficial ingredients, Skinade will help deliver nutrients and hydration to the skin from the inside. Its star ingredient is collagen, which has been proven to have beneficial effects on the skin. After age 20, the body stops producing as much collagen. This is why we experience skincare problems a few years down the line. Skinade believes by replacing this collagen and maintaining a healthy amount, the skin will improve. When Skinade is properly used, it claims to diminish fine lines and wrinkles, improve texture, and improve skin tone. Its formula is patent pending. After 8 weeks, 91% of the peptide group showed a significant improvement in skin hydration by up to 28% compared to the placebo group. Polymer silicone skin prints were taken from each subject’s face at different times of measurement and studied using scientific tools designed to analyse the skin. After 12 weeks, the number of micro-relief furrows significantly decreased by 26% in the peptide group. In the placebo group, the number of deep wrinkles increased by 30%. After 6 weeks, 77% of the peptide group’s micro-relief furrows decreased by 41% and after 12 weeks, 68% of the group showed a 17% decrease in total wrinkle surface. If you’re smart, you know the age-old saying “you are what you eat” is insanely true. When the body consumes a drink or food, nutrients are distributed to the cells throughout the body. Once the body acquires all the essential nutrients, it begins to release leftovers to other cells such as those found on the skin. If the food or drink consumed contains toxic ingredients, the cells will feed off of these toxins which can cause them to malfunction. The Skinade drink contains over 7000mg of collagen which is extracted from fresh water fish. 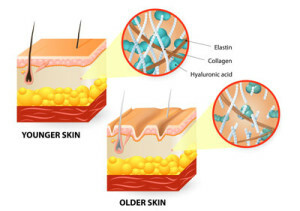 The collagen is hydrolysed, meaning it is converted into a peptide. Peptides have a smaller molecular weight which allows the formula to navigate through the body more easily. As the body obtains collagen, it improves the production of fibroblasts which help it naturally produce collagen. About 30% of the body is made of collagen, so it is important to ensure it is healthy and strong. Skinade recommends you take one bottle of their formula per day. Although Skinade can deliver small results in as early as 5 days, most consumers don’t notice real results until around week 7. It is therefore best to opt for a 60 day supply. What are the ingredients in Skinade? Vitamin C- helps the body form collagen, boosts the immune system, provides antioxidant protection and promotes radiance. MSM- helps improve elasticity and collagen production. B vitamins- helps promote healthy skin. Omegas 3 and 6- helps to balance skin type. 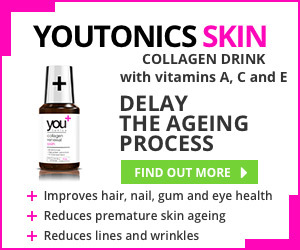 Other ingredients include: Water, Hydrolysed marine collagen, concentrated grape juice, methylsulphonylmethane (MSM), citric acid, natural flavourings, calcium ascorbate, Vitamin B complex (B3 (nicotinamide), B5 (calcium pantothenate), B6 (pyridoxine hydrochloride), B1 (thiamine hydrochloride), B2 (riboflavin), B7 (L-biotin), B9 (folic acid), B12 (cobalamin), L-lysine, preservative: potassium sorbate, organic flax seed oil, sweetener: sucralose. Does Skinade have side effects? Those with food allergies should refer to Skinade’s full ingredient list to prevent allergic reaction. If you are pregnant or on medication, consult with your physician before purchasing. What are people saying about Skinade? “I read reviews online all the time, and – as someone who works in PR – I always wonder if they’re planted comments. I can guarantee this is not! I started drinking Skinade a few months ago and I cannot overemphasise how happy I am with the results. My skin was never terrible, but I did suffer from ‘hormonal’ flare ups – large spots on my lower face/ chin in particular. Not anymore. “I’ve definitely seems results since I started using Skinade, you need to use it for a good month though before you start noticing. However, it does taste a little sickly and I find I’m throwing away three fingers at the end of the bottle each time. I’d prefer a more concentrated bottle that you can swallow in just a couple of gulps. Like most nutritional drinks, Skinade has a specific taste. While Skinade describes it as “natural flavours of peach and mangosteen”, the drink has a strong citrus taste that may be pleasant for some. However, it can remind others of taking medication (Vitamin C powders or supplements). Mixing Skinade in smoothies or other preferred drinks will help mask the taste for those who aren’t fond of it. Where can you buy Skinade? How to use this code? When the customer has entered the code, they will need to tick the box which says ‘free shipping’ at the checkout. Skinade also offers travel kits (available here) for those who travel frequently. The Skinade formula is packaged in 15ml sachets which are mixed with half a glass of water. Not only is this an easier option for travel, but also ensures freshness of the product. In a few reviews, clients revealed they received bottles that were open, rancid, or had spilled. 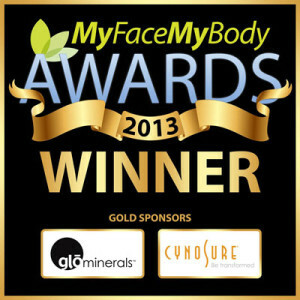 The Skinade skincare drink is an innovative product with satisfied customers. Although customers have seen dramatic results, these kinds of drinks aren’t 100% backed by scientists. If you’re someone who includes, or wants to include vitamins in your daily routine, consuming a drink may be more beneficial. The Skinade collagen drink contains so many vitamins and nutrients that you’d have to take about 20 vitamins to compensate (as if pills aren’t already hard to swallow)! Vitamins are also very hard for the body to digest. Once they enter the body, they will most likely pass before the body can reap their benefits. This is because the body only absorbs about 35% of benefits in a tablet as compared to 85% in a drink. The Skinade brand admits their product works best with a holistic approach. Consuming healthier foods, more water, and less alcohol are just a few things the brand suggests for best results. To maintain results, you must continue to use this product since the body naturally loses about 1% of collagen each and every year! Although Skinade can deliver small results in as early as 5 days, most consumers don’t notice real results until around week 7. It is therefore best to opt for a 60 day supply. I ordered a box last November to be ready for Xmas and new year and I couldn’t have been happier with it, my skin looked really good. I have to agree with the review and the conclusion that you should use it for at least 5-6 weeks before you start seeing real results. I bought 60 bottles and ONLY after about 4-5 weeks I started seeing any results. But once the real effects kicked in I was well impressed. Hi. Is Skinade collagen drink suitable for men or are they only for women? Yes, Skinade can be taken both by men and women. If you start Skinade drink & decide to stop after a few months- what happens? Also can you take it every other day instead of every day? If that happened then the collagen in your skin would start to decrease and your skin would go back to as it was at the beginning. Unfortunately collagen drinks are not a magic potion to reduce wrinkles forever, so the only way around it is to keep using them. We are actually going to publish another collagen drink review early next week. We’ve been testing it for the past month, and we are really happy with it, and it’s a lot cheaper than Skinade. So please do check back for that review. Hi I’d like to hear more about the alternative drink as skinaid is too expensive for me. All collagen drinks contain either bovine or marine collagen, unfortunately. How can i contacting you to providing you good offer .. we are medical Co. in Saudi Arabia .